I just returned from a trip to Lethem, Guyana and the Guyana Christian University. What a blessing to visit these good people and have both students and community visitors in my classes. For those who do not know, Lethem is located in western Guyana along the border with Brazil. It is south of the almost pristine Guyanese rainforest and is situated in the grasslands or savannahs. 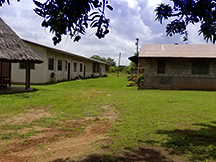 The school has been in place for just over 12 years and has been the source of many gospel preachers now working among the Amerindian people of the country. On this occasion, I taught a university-level class on Revelation and a class on preaching. These great students were careful to compare my teaching to God’s word. 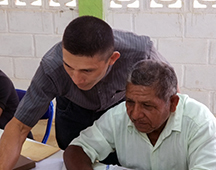 We teach them to study the scriptures and use the Scriptures as the sole authority in their teaching. I was also privileged to speak to the church of Christ at Culvert City which shares a campus with the school. It was so good to see old friends and some new ones too. Here, at Eastern Shore in Alabama, we support Guyana Christian Medical Missions. A team just returned in February, another arrives in July and another in September or October. We are making some improvements to the clinic to be ready for the new team that arrives in a month or so. If you are near Daphne, Alabama next Sunday, drop by the Eastern Shore church of Christ. I’ll be making a fuller report on Sunday night at 5.